Your subconscious mind is always listening. it holds the power to create any reality you desire. You find yourself reaching for answers everywhere outside of yourself. In books, on podcasts, on social media — but the thing is: the answers, clarity, and power you seek aren’t there. They’re within you right now, and they always have been. 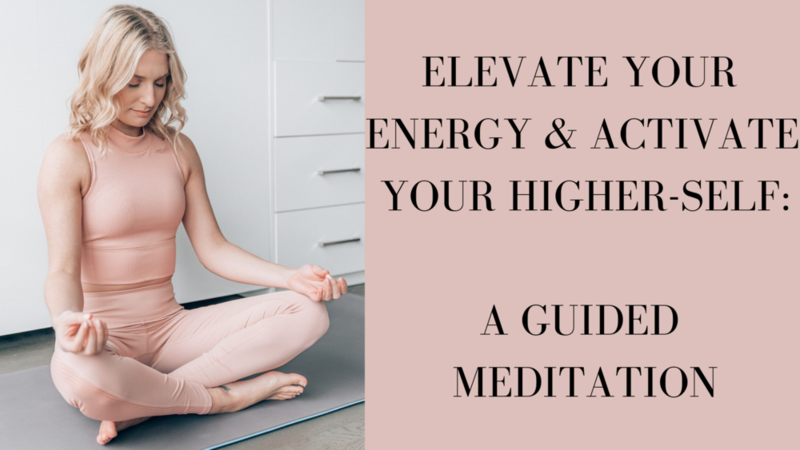 This video guides you through a hypnosis meditation to elevate your energy and activate your higher self (your intuition) so you can receive the guidance you need in your life and take your next steps feeling confident. Hypnosis meditation is a technique in Neuro-Linguistic Programming (NLP). NLP is the user's manual to your subconscious mind, and in case you weren't aware, our subconscious mind controls 99.999% of our daily thoughts, beliefs, and actions. Remember, your inner world creates your outer world. If you want to receive love, abundance, and positivity, you must first become it so you can give it. What you need to do to break through the mindset blocks keeping you a slave to your business so you can become the CEO of your life. The five things all successful CEO's do DAILY to meet and exceed their goals. How to own your zone of genius and accomplish more in less time so you can create more income, influence, and impact. 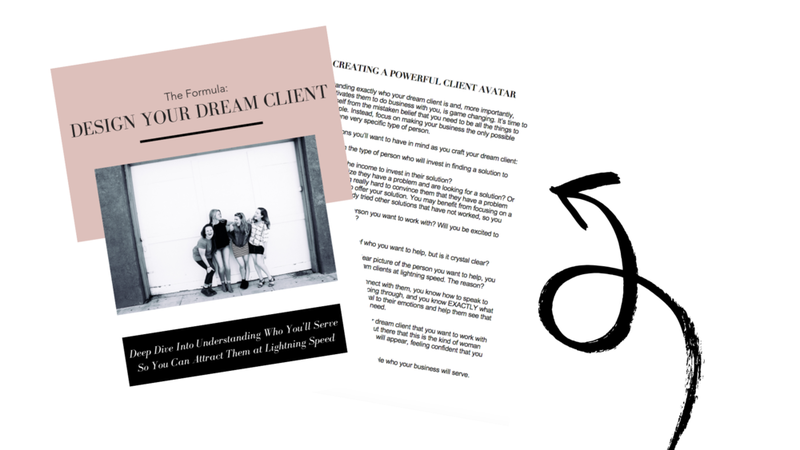 A step-by-step process for designing your dream client so you can connect with them, create content and communications that are tailored to them, and ensure that you are offering products and services that they will love. The top four places to research your dream client, plus a social media post template to help you gather necessary feedback and information from your dream clients so you can serve them to your highest potential. The five-step process for uncovering exactly what your dream client is struggling with most, what it's holding them back from, and how to identify how you can help them transform so you can easily and effortlessly attract and convert them.